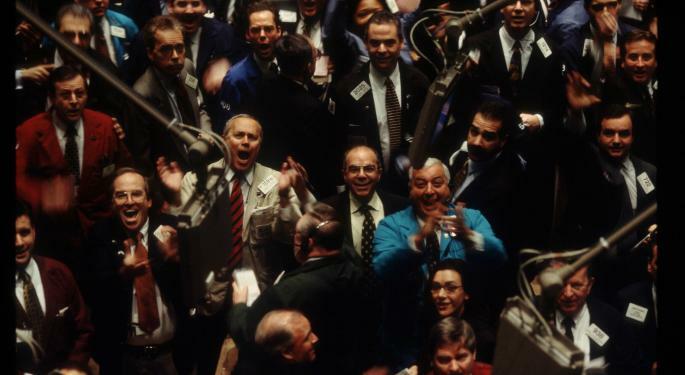 U.S. stocks overcame mixed economic data and earning reports as the S&P 500 inches towards new all time highs and the Dow recorded an almost triple digit point gain. Jobless claims declined less than expected while consumer prices met expectations and rose slightly. Data from the Philadelphia Fed showed manufacturing activity contracting, but investors bought the notion that cold weather is to blame. The Dow gained 0.01 percent, closing at 16,133.23. The S&P 500 gained 0.60 percent, closing at 1,839.78. The Nasdaq gained 0.70 percent, closing at 4,267.55. Gold gained 0.22 percent, trading at $1,323.30 an ounce. Oil gained 0.01 percent, trading at $102.84 a barrel. Silver lost 0.09 percent, trading at $21.83 an ounce. Initial Jobless Claims declined 3,000 to 336,000, above the 335,000 consensus. Continuing claims rose 37,000 to 2.98 million. January Consumer Price Index rose 0.1 percent, in-line with expectation. Core CPI also rose 0.1 percent, in-line with expectation. U.S. February PMI Manufacturing Flash read 56.7, ahead of the consensus of 53.5 and a prior reading of 53.7 in January. Bloomberg Consumer Comfort Index held steady at -30.6, but still below the “recovery zone” level of -30 or better. February Philly Fed Business Outlook read -6.3, below the expectation of +8.0. EIA Natural Gas Inventory declined 250bcf. EIA Crude Inventories rose 1.0 million barrels. The average rate for a 30-year fixed mortgage and 15-year fixed mortgage rose to 4.33 percent and 3.35 percent, respectively. China's flash manufacturing PMI fell to a seven-month low of 48.3 in February, falling short of the consensus of 49.4 and falling from 49.5 in January. Japan's trade deficit rose to a record ¥2.79 trillion (~$27 billion) in January from ¥1.3 trillion in December. Export growth slowed to 9.5 percent on year from 15.3 percent. Eurozone flash manufacturing PMI declined to 53 in February from 54 in January, missing the consensus of 54. Many analysts chimed in following Facebook's (NASDAQ: FB) acquisition of WhatsApp. Analysts at Wedbush maintained an Outperform rating and $80 price target and noted “The acquisition appears defensive, as Facebook is acquiring a competitor that could have posed a long-term threat and in doing so, is also keeping it out of the hands of another competitor. That said, WhatsApp is in some ways complementary given its real-time nature and geographical footprint, which appears to be focused outside of the US.” Analysts at Pivotal Research Group downgraded shares to Hold from Buy with a price target raised to $66 from a previous $65. The analysts noted “While we see strategic merit, the acquisition is difficult to justify on metrics we use to value Facebook. A separate re-assessment of ad revenues for the core business was leading us to raise expectations, but dilution due to WhatsApp partially offsets these changes. Our new target for Facebook is $66 which equates to a Hold rather than our prior Buy recommendation. Facebook has had a solid run this year. Supporting our more cautious view, concerns over costs of future acquisitions may weigh over the company in the near-term. Shares hit new 52 week highs of $70.11 before closing the day at $69.63, up 2.31 percent. Analysts at Barclays downgraded Apple (NASDAQ: AAPL) to Equal-Weight from Overweight with an unchanged price target of $570. The analysts noted “We are changing our rating for Apple to Equal Weight based on our view that shares may stick close to a trading range for the next year or so. Frankly, we just couldn't quite bring ourselves to use smart watches or TVs as reasons to raise numbers – nor were we fully convinced that these products could move the needle like new categories did in the old days. As a result, we believe it is time to step aside, given a maturing smart phone market. Eventually Apple could even see margin pressures as it adds advanced new features to new iPhones at similar price points later this year and into next (things like Sapphire glass, curved glass, new batteries, etc.). And that “we believe the valuation argument is becoming less and less helpful. Furthermore, we look at a valuation analogy vs. Microsoft from 2000 to about 2010 and see no precedent that large-size tech companies simply start to broadly outperform again after a tough year or two if the law of large numbers is catching up to them and margins have peaked.” Shares lost 1.18 percent, closing at $531.05. Analysts at Buckingham Research maintained a Neutral rating on Boeing (NYSE: BA) but lowered their price target to $132 from a previous $142. The analysts noted “We remain NEUTRAL on valuation and the potential for downward consensus earnings revisions as we think expectations, especially FCF, are being set too high. Reflecting a revised delivery forecast, we are lowering our target to $132 from $142 and we are lowering our 2014/15E to $7.30/7.74 from $7.55/$8.35.” Shares gained 0.92 percent, closing at $129.57. Analysts at Jefferies said that a takeout value for Safeway (NYSE: SWY) could be as high as $43 to $47 a share, but if there is no sale of the company and a stock buyback and debt pay down plans resumes, shares could be valued at $35. Shares gained 2.02 percent, closing at $35.31. Nelson Peltz has renewed his call for Pepsi (NYSE: PEP) to spin off its struggling beverage business. Peltz, whose Trian Fund Management owns over $1 billion in Pepsi sent a 37 page letter delivered to Pepsi's board. Shares gained 1.18 percent, closing at $78.01. y Waller will assume Fayard's position. Shares gained 0.54 percent, closing at $37.30. According to Reuters, Nokia (NYSE: NOK) is considering a bid to acquire Juniper Networks (NASDAQ: JNPR) to combine it with Nokia Solutions & Networks. Shares of Nokia gained 0.69 percent, closing at $7.32 while Juniper gained 0.85 percent, closing at $27.43. Banana Republic, owned by The Gap (NYSE: GPS) is considering an international expansion with plans for new stores in Europe and franchise outlets in Africa and the Middle East. Shares gained 0.33 percent, closing at $42.33. Engaged Capital has nominated five members to the board of directors at Abercrombie & Fitch (NYSE: ANF) as the hedge fund continues its push to see the retailer transform itself. Shares lost 0.17 percent, closing at $34.58. Avon Products (NYSE: AVP) is close to finalized a partnership with Coty (NASDAQ: COTY) in which Avon representatives will sell Coty fragrances. Shares of Avon lost 0.36 percent, closing at $15.05 while Coty gained 3.12 percent, closing at $14.55. Freeport McMoRan (NYSE: FCX) said it is not among six companies that gained approval to export refined metals and processed minerals out of Indonesia. Shares gained 1.75 percent, closing at $33.75. Analysts at TD Securities raised its valuation of BlackBerry's (NASDAQ: BBRY) instant messaging service, BBM, to $800 million following Facebook's acquisition of WhatsApp. Appropriately, the analysts raised their price target (but maintained a Hold rating) on BlackBerry to $10.50 from a previous $9.50. Shares gained 3.66 percent, closing at $9.34. European authorities have recommended that the European Commission approve GlaxoSmithKline's (NYSE: GSK) and Theravance's (NASDAQ: THRX) combo treatment for chronic obstructive pulmonary disease. The companies expect to earn revenue of over $2 billion a year by 2018. Shares of GlaxoSmithKline gained 0.90 percent, closing at $56.21 while Theravance lost 0.87 percent, closing at $39.96. Starboard Value, a 5.5 percent owner of Darden Restaurants (NYSE: DRI) has hired Bradley Blum, a former president of Olive Garden as an adviser to the firm. Shares gained 3.17 percent, closing at $50.51. Tesla (NASDAQ: TSLA) reported its fourth quarter results after the closing bell yesterday. The company announced an EPS of $0.33, beating the consensus estimate of $0.21. Revenue of $761.34 million beat the consensus estimate of $657.15 million. The company expects to deliver 35,000 Model S vehicles in 2014, a 55 percent increase over 2013 levels. Production is expected to increase to 1,000 cars per week by the end of the year as the company expands its factory. Tesla expects automotive gross margin to increase to about 28 percent in the fourth quarter through design improvements and economies of scale. Analysts at Deutsche Bank downgraded shares to Hold from Buy but raised their price target to $200 to $220. The analysts noted “we can no longer justify significant upside on a 12-month view. We lay out a case below that includes an optimistic scenario that Tesla gets to 450k units near the end of the decade at an EBIT margin of 15% (significantly higher than BMW, slightly below Porsche). This would drive about $19 of EPS. Shares hit new 52 week highs of $215.12 before closing the day at $212.19, up 9.58 percent. This morning, World Wrestling Entertainment (NYSE: WWE) reported its fourth quarter results. The company announced an EPS of -$0.10, missing the consensus estimate of -$0.05. Revenue of $118.4 million beat the consensus estimate of $116.08 million. 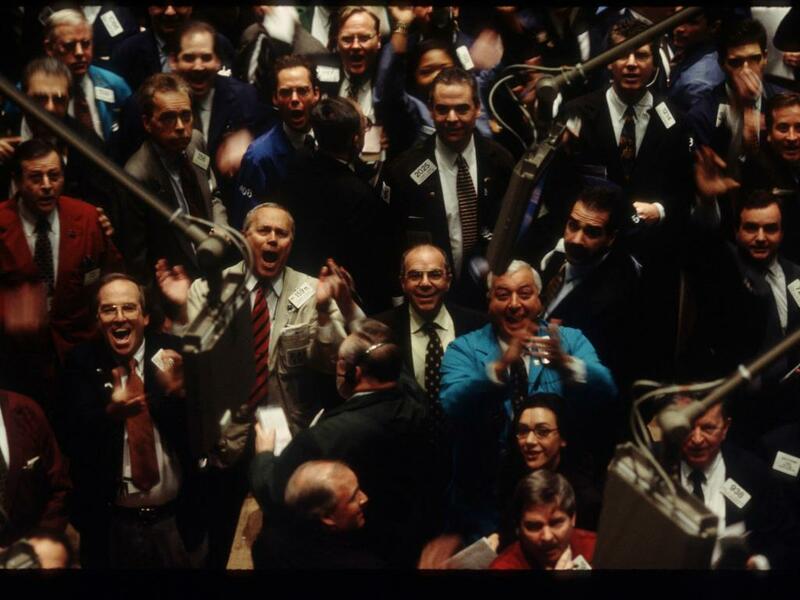 Investors found management's comments reassuring. “During the past year, we laid the foundation for future growth and enhanced our brand strength,” said Vince McMahon, Chairman and Chief Executive Officer. “We have now announced the renewal of our television distribution agreement in the U.K., are continuing the negotiations regarding our domestic content, and are poised to launch our global WWE Network in the next few days. With preparations for WrestleMania 30 fully underway, we look forward to celebrating our enduring legacy and ushering in a new era as we blaze new trails in the media industry.” Shares hit new 52 week highs of $24.96 before closing the day at $24.76, up 7.57 percent. Analysts at RBC Capital Markets upgraded Barrick Gold (NYSE: ABX) to Outperform from Sector Perform with a price target raised to $28 from a previous $24. The analysts noted “We believe Barrick has the ability to Outperform peers as a result of (1) increasing free cash flow through execution on its mine plan revisions, which saw life-of-mine average grades for operating mines increase by 21% to 0.058 oz/ton from 0.048 oz/ton previously, (2) continued divestment of higher AISC assets, such as African Barrick Gold, and (3) advancement of its longer-term development projects, including Goldrush and Pascua-Lama. Barrick is trading at a forward cash flow multiple of 7x and NAV multiple of 1.25x, well below the historical industry average of 13x and Barrick's historical average of 1.3x respectively.” Shares gained 6.15 percent, closing at $20.99. Biolase (NASDAQ: BIOL) has signed an agreement with Stratasys (NASDAQ: SSYS) to resell its line of OrthoDesk 3-D dental printers designed to “fabricate stone models, orthodontic appliances, delivery and position trays, models for clear aligners, retainers and surgical guides on their desktop.” Shares of Biolase gained 12.37 percent, closing at $3.18 while Stratasys gained 1.07 percent, closing at $127.19. This morning, Conn's (NASDAQ: CONN) announced preliminary fourth-quarter fiscal 2014 and full year 2015 earnings guidance. Conn's sees its fourth quarter EPS to be $0.75 to $0.80, below the consensus estimate of $0.93. The company sees its Fiscal 2015 EPS to be $3.40 to $3.70, lower than the consensus estimate of $3.96. The company previously guided its full year EPS to be $3.80 to $4.00. The company explained the culprit: "credit segment performance did not keep pace and delinquency and charge-offs rose in December and January. Sales driven portfolio growth combined with seasonal portfolio increases placed pressure on our collections operation and execution deteriorated,” the company said in a press release. Shares plunged 42.85 percent, closing at $31.89, trading near its 52 week lows of $29.63. American Apparel (NYSE: APP) has hired lawyers to advice the company at restructuring options. The company has roughly $240 million in debt and has struggled to pay over the years despite refinancing the majority of its debt in January. Shares hit new 52 week lows of $0.5918 before closing the day at $0.66, down 32.02 percent. This morning, Actavis (NYSE: ACT) reported its fourth quarter results. The company announced an EPS of $3.17, beating the consensus estimate of $3.05. Revenue of $2.78 billion beat the consensus estimate of $2.68 billion. The company faced a $148.4 million loss in the quarter compared to a $28 million profit in the same quarter last year as the company faced restructuring-related expenses and other items. The company reaffirmed its forecasts for Actavis alone and expects its full year 2014 EPS to be $12.60 to $13.10 versus a consensus of $12.99 and revenues of over $10 billion versus a consensus of $10.86 billion. The company will provide an updated 2014 guidance after its acquisition of Forest Laboratories is finalized. Shares hit new 52 week highs of $222.24 before closing the day at $220.37, up 4.66 percent. This morning, Wal-Mart (NYSE: WMT) reported its fourth quarter results. The company announced an EPS of $1.60, beating the consensus estimate of $1.59. Revenue of $129.7 billion missed the consensus estimate of $130.44 billion. Sales grew 2.4 percent in the U.S. but comparable stores sales growth declined 0.4 percent in the quarter. Sam's Club saw a 0.1 percent drop in revenue. The Neighborhood Market store format saw comp gains of five percent. Wal-Mart international saw sales growth of 1.3 percent to $136.5 billion. The company offered guidance and expects its first quarter EPS to be $1.10 to $1.20, below the consensus of $1.24. During the conference call, management stated that opening smaller-format stores is the best way to expand, instead of seeking acquisitions. Shares lost 1.78 percent, closing at $73.52. This morning, DIRECTV (NYSE: DTV) reported its fourth quarter results. The company announced an EPS of $1.53, beating the consensus estimate of $1.19. Revenue of $8.95 billion beat the consensus estimate of $8.48 billion. Revenue from the U.S. segment appreciated 7.2 percent to $6.77 billion due to the average monthly revenue per subscriber increasing to $111.74. Operating margin decreased 10 bps to 23.8 percent in the quarter. The company's board approved a $3.5 billion stock repurchase program. Shares hit new 52 week highs of $75.50 before closing the day at $75.08, up 2.93 percent. This morning, Crocs (NASDAQ: CROX) reported its fourth quarter results. The company announced an EPS of -$0.20, beating the consensus estimate of $-0.23. Revenue of $228.6 million beat the consensus estimate of $221.24 million. The company issued guidance and sees its first quarter revenue to be $305 million to $315 million, lower than the $322.37 million consensus estimate. Investors appeared to focus on management's plans to implement its $350 million stock repurchase program in the coming quarter. Shares gained 5.12 percent, closing at $15.82. After the closing bell, Hewlett-Packard (NYSE: HPQ) reported its first quarter results. The company announced an EPS of $0.90, beating the consensus estimate of $0.84. Revenue of $28.2 billion beat the consensus estimate of $27.19 billion. Shares were trading lower by 0.46 percent at $30.05 following the results. After the closing bell, Nordstrom (NYSE: JWN) reported its fourth quarter results. The company announced an EPS of $1.37, beating the consensus estimate of $1.34. Revenue of $3.61 billion missed the consensus estimate of $3.72 billion. Shares were trading lower by 0.74 percent at $59.00 following the results. 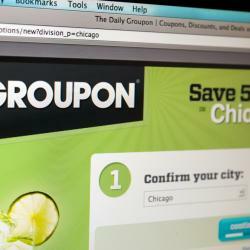 After the closing bell, Groupon (NASDAQ: GRPN) reported its fourth quarter results. The company announced an EPS of $0.04, beating the consensus estimate of $0.02. Revenue of $768.4 million beat the consensus estimate of $718.04 million. Shares were trading lower by 9.52 percent at $9.30 following the results. After the closing bell, Priceline.com (NASDAQ: PCLN) reported its fourth quarter results. The company announced an EPS of $8.85, beating the consensus estimate of $8.29. Revenue of $1.54 billion beat the consensus estimate of $1.52 billion. Shares were trading higher by 1.95 percent at $1,307.89 following the results. "I don't spend my time pontificating about high-concept things; I spend my time solving engineering and manufacturing problems." - Tesla CEO Elon Musk, comments made to Bloomberg on July 16, 2013.